​Come visit us in Walla Walla, one of the worlds fastest growing wine regions! 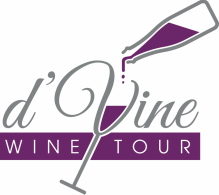 At d’Vine Wine Tour, we create a memorable experience for you and your party to enjoy the finest Walla Walla wines in one of the worlds fastest growing wine regions. Let us assist you and your party in an unforgettable wine tour or special event. We work hard to develop relationships with local vintners and businesses and continue to develop our knowledge of the local wine environment so you get the best possible tour. What could be better than spending a day enjoying your friends and wonderful Washington wines? With d’Vine Wine Tour, you travel in style and comfort so you and your party can enjoy the experience, allowing us to take care of everything else. Call or e-mail us today to reserve your Walla Walla wine tour or special event!